• My theater-related travel and the resulting deadlines haven’t left me with much spare time of late, but I’ve still managed in the past couple of weeks to consume and enjoy an album and two autobiographies. The album is Erroll Garner’s The Complete Concert by the Sea, a newly released three-CD set about which vast clouds of enthusiastic prose, none of it even slightly overstated, have already been generated, not just in the jazz press but in such mainstream publications as the New York Times and my own Wall Street Journal. 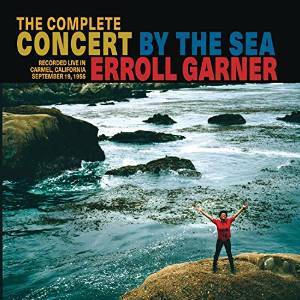 In case you haven’t heard, The Complete Concert by the Sea is a new and expanded reissue of the much-loved live album in which Garner and his hard-working trio were caught on the fly in 1955. Not only has it been carefully remastered—the mono sound was mediocre—but this new “reissue” contains twice as much music as the original LP, all of it thrilling. One of Garner’s albums was called The Most Happy Piano, and that sums him up very nicely. 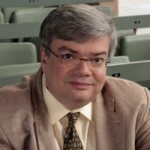 As Joseph Epstein wrote of H.L. Mencken, “He achieves his effect through the magical transfer of joie de vivre.” You simply cannot listen to his best recordings without breaking out in an ear-to-ear grin. That’s especially true of Concert by the Sea, in which Garner’s one-man-band piano style (big-band riffs in the right hand, guitar-like four-to-a-bar strumming in the left) is heard at its irresistibly infectious best. As the old bluesman said, if you don’t like this album, you don’t like ham and cheese. • I quit keeping up with new books about dance when I stopped going to dance performances a decade ago. 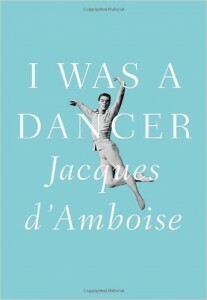 As a result, I didn’t even realize that Jacques d’Amboise, one of the outstanding American ballet dancers of the twentieth century, had published an autobiography in 2011. When I saw I Was a Dancer in a Chicago bookstore two weeks ago, I decided that it might make for good airport reading, and I gulped the whole of it down last Thursday en route from Chicago to Connecticut. It turned out to be a delightful piece of work—naïve, unselfconscious, wholly engaging—that I very much wish had been published while I was still at work on my own brief life of George Balanchine, d’Amboise’s teacher and mentor. Robbins took what you did naturally, enhanced, packaged, and presented it—he helped you become more of what you already were. Balanchine took the music, developed his own ideas of movement, and challenged you to become more than you thought you could be. With Robbins, you were amplified; with Balanchine, you were transformed. 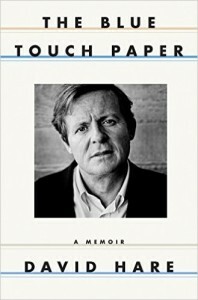 • Even more engrossing, at least to me, is The Blue Touch Paper, David Hare’s soon-to-be-published memoir, which comes out next month and whose bound galleys I finished reading last night. As my work reached a larger public, I would grow used to the pressures for censorship, offered for the most exemplary reasons. When people tell you they value political art, what they often mean is that they enjoy political propaganda which corroborates what they already think. All kinds of groups, including socialists and feminists, would ask me to reconfigure work in order to show what ought to happen rather than what does. I grew used to having to argue to the literal-minded that drama is not and cannot be a cartoon form of exhortation. 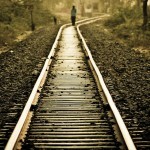 It is about people, it is not about types. 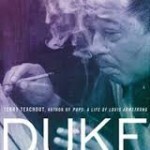 The whole book is like that, sharp and unsparingly perceptive, not least about the author himself. On first reading I incline to rank it alongside Moss Hart’s Act One as one of the finest autobiographies ever written by a playwright. We’ll see whether time leads me to modify that snap judgment, but if you’re interested in postwar British theater, I can’t recommend it too strongly.